Anyone who’s spent time in E-Learning Heroes has probably heard the term “storyboarding.” But what exactly does it mean? Storyboarding is a critical planning step for any slide-based e-learning project, during which you are essentially creating a blueprint before you start to develop your course. There are tons of different moving parts in slide-based e-learning development (the content, the navigation, the visual design, etc.). In order to make sure you’re on the right track before it’s too difficult or time-consuming to turn back and start over, you’ll want to start with an e-learning storyboard. If you’re using a web-based authoring app like Rise, you can skip the storyboarding phase and go straight to development. Since the navigation and design are both predefined, you can just concentrate on your content. And because it’s so fast and easy to create lessons in Rise, if you do end up changing your mind later on, it’s no problem! So in this article, we’ll focus on the storyboarding process for slide-based courses. Let’s take a closer look. Identify all stakeholders and participants on the project, and clearly communicate their roles in the group. This information is critical to determining how much detail your storyboard will need. For example, if the person creating the storyboard is not the same person who’ll develop the content, then you’ll need to be sure it includes all the info the developer will need to build the course. Make sure you know what apps will be used and what skills the team has before you storyboard, to ensure everything you include is actually feasible and appropriate for the project. Know what learning activities you want to include in your course, and how you plan to sequence them. You’ll want to determine in advance if your client has particular exercises in mind, so you can incorporate them into your course design. There’s no right or wrong way to build your storyboard. Some people prefer to build it in Word, others use PowerPoint, and still others develop their storyboard directly in the authoring app. Depending on the project, you may or may not be able to choose the format yourself. Sometimes it’s the client who dictates the app you use. When I have a choice, I prefer to storyboard directly in the authoring app, which in my case is usually Storyline. I find it’s a huge time-saver to get started directly in the app. That way I don’t have to copy the content over later on in the process. Committing the time and effort for these planning steps is well worth it in the long run to help you avoid costly reworks. With these four steps complete, you’re ready to start constructing your actual storyboard. Don’t reinvent the wheel. If you have a template you like and you’re comfortable with, then use it. If you don’t, then browse these free storyboard templates and use or modify one to your liking. You can also post a thread here in the E-Learning Heroes forums asking for storyboard templates, and chances are the helpful folks in the Articulate community will put up samples in no time. Strike the right balance to give your team and stakeholders enough information about the navigation and links, media, text, interactions, on-screen elements, and programming notes without overwhelming or losing them in too much detail. The level of detail will depend on who, ultimately, is building your course from the storyboard. If it’s you, then you probably don’t need to describe in detail the kind of animations you’re imagining. But if you’re handing the storyboard off to a developer, you may want to include that information to ensure the end result corresponds to your intention. Give each slide a reference label, whether it’s numeric, letters, or alphanumeric. Maybe your first slide is labeled A001, the next A002, then A003, and so on. Then, when you build the prototype of your course, you can include these reference labels, making it easy to map the slides in the storyboard with the actual slides in your course. This is especially useful if you end up changing the order of slides, because you’ll always have the original reference label. Remember, you’re not creating your actual course, so don’t write a book. This is simply a detailed outline that will set the framework for and scope of your course. Circulate it to the team (as defined above) for review and approval. Doing so will build consensus on the project direction and approach, and can help flesh out scope and design issues before you’re deep into building, when it’s harder—and more costly—to change direction. If you’re using Storyline 360 to create your storyboard, then you can publish it to Articulate Review so your team members can view and add comments directly. If you’re using a tool with a track changes feature (like Word), make sure to switch it on before sending the storyboard to them so you can easily see their revisions. If you’re using Articulate Review, there’s no need to ask your reviewers to consolidate their feedback, as it’s already all in one spot. If you’re using another tool, like Word or PowerPoint, consider switching to something more collaborative, such as Google Docs or Google Slides, so all the comments are visible to everyone involved. Otherwise you could end up with multiple, slightly different versions of the same storyboard, which will result in you spending time consolidating them. Not a very effective use of your time! It’s also good practice, from an efficiency standpoint, to collect feedback in one fell swoop, by a certain date, rather than piecemeal, in a protracted and loosely defined review process. You don’t need to follow the linear path of your storyboard when you prepare to develop your course. Instead, you can identify nonoverlapping course sections and plan to develop them in parallel. This might mean a team member works on a later, discrete section before switching to collaborate on an earlier or sequential section. You’ll need to manage what work gets done when, but oftentimes you can find opportunities for completing more than one section at a time. 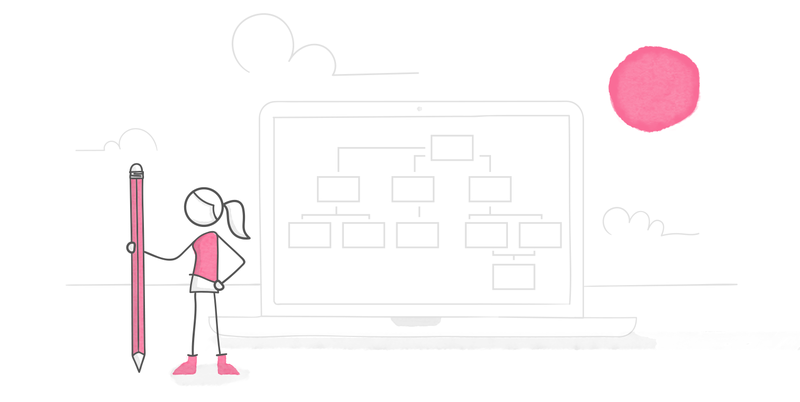 When you finish your e-learning storyboard, you and your team will have a comprehensive view of how your course will look, feel, and function. Your storyboard may even save you time in the long run, since you’ll have the content and structure clearly mapped out and ready at your fingertips. Let your storyboard do some heavy lifting up front, so building your course is easier, faster, and more fun later on. Follow us on Twitter and come back to E-Learning Heroes regularly for more helpful advice on everything related to e-learning. If you have any comments, please share them below. This article is part of our E-Learning 101 email course, a series of 10 expertly curated articles that’ll help you get started with e-learning—delivered right to your inbox. You’re only a click away from becoming an e-learning pro! Sign up here to enroll. Thanks for this informative post! I'm curious what tools you would recommend for building storyboards? I've used everything from pen-and-paper to PowerPoint to simple Word-based tables... But haven't found anything that really works well for showing all the moving parts in an easy-to-read format. I noticed you make reference to downloads in your post, but I didn't see any links... ? Thanks! Thanks so much, Nicole - this is really helpful! Some great ideas - thank you, Nicole. Re: Use reference labels in your storyboard A trivial suggestion - and one that I'm sure many use already, but if you label screens A001, A002, A003 and so on, you have no 'labelling space' should you wish to insert a screen between A001 and A002, for example. (I guess you could label your new screen A001B or something, but that may lead to confusion). it might instead be advantageous to label your screens A010, A020, A030 and so on. In this way you can insert up to 9 screens between each 'original' screen. Great tip Martin - I totally agree with that suggestion. In fact it's one of the things I recommend in this other article I wrote about storyboarding: https://community.articulate.com/articles/storyboards-for-e-learning-what-to-include :) Great minds think alike.